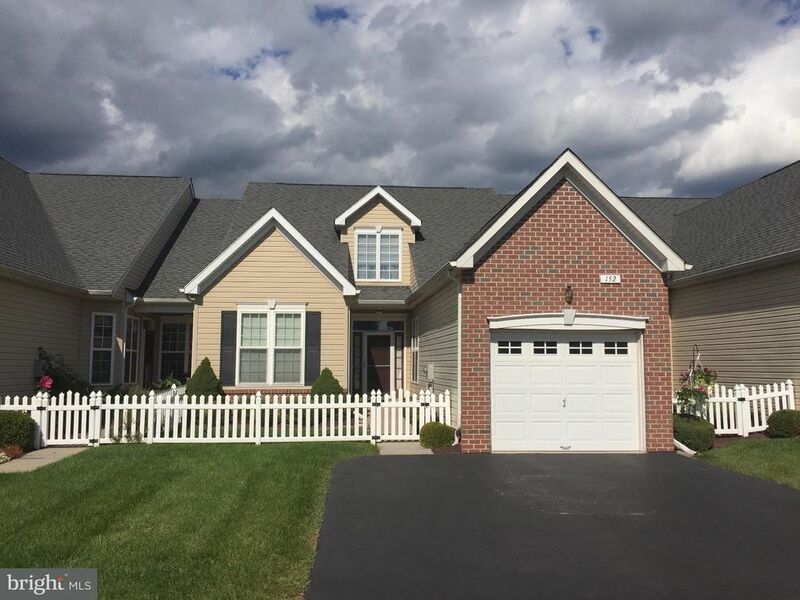 Come see this lovely 2 bedroom, 2-bathroom home located in the Villages At Dorchester. This spacious home offers an eat-in kitchen, a great room with vaulted ceilings, cozy fireplace and an adjoining dining room. The well-equipped kitchen is easily accessible to the attached one-car garage. The first floor master bedroom boasts vaulted ceilings, a full bathroom with his and her sinks and a walk-in closet. A second bedroom, a full hall bath, and laundry room are also located on the first floor. The second floor offers a large finished loft, which could easily be transformed into another bedroom or family room and a large storage room. The unfinished full basement has sliding glass doors that lead to the backyard, patio and walking trail. Forget the trouble of mowing the lawn; shoveling the snow and paying for trash pickup, the quarterly association fee covers those expenses. This 55 and older community has it's own clubhouse and is close to diners, restaurants, shopping, parks and major roadways. Schedule your showing today!